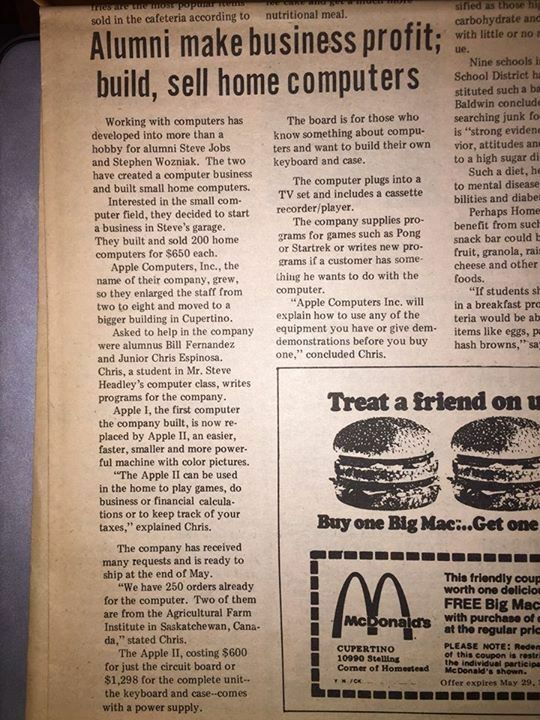 Case in point, look at this article from the Homestead High School newspaper talking about its alumnus’ new company Apple Computers, in a ‘aww isn’t that cute, they sold 200 computers’ sort of way. The article above was published in the The Epitaph on May 20th, 1977, just a few weeks before the first Apple II units went on sale, and went on to become the first computer to sell 1 million units. At the time of publication Apple had just moved out of the garage and into an office in Cupertino with eight total employees. 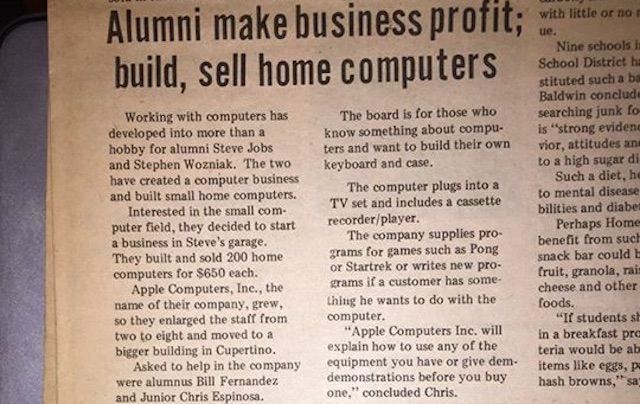 One of Apple’s first employees, Chris Espinosa was still in high school at the time and was interviewed by the paper for the article on Jobs and Woz’s new company. Along with revealing that you used to be able to get Apple’s top software engineer to build you a custom app to do whatever you want, the high school junior presaged the idea of a Genius Bar, decades before the first Apple Store opened.